There are plenty of reasons to visit France! From the romantic air of Paris to the fairytale castles of the Loire, the lavender fields of Provence to the beaches of the Riviera, the attractions of this European country are endless. The cities will seduce you with fascinating museums, festive nightlife, and Michelin-starred cuisine paired with great wine, while the countryside and mountains offer majestic scenery and unforgettable encounters. 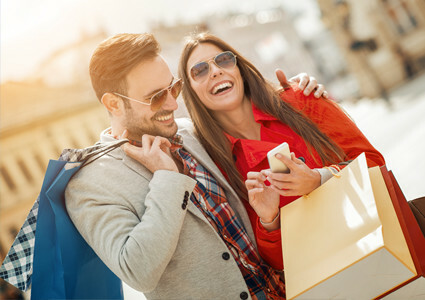 To make sure that you don’t miss anything, our Travel Professionals have compiled their favourites to help you get ready for your vacation in France. Anyone who knows the architecture of Old Montreal and Old Quebec will recognize it on a stroll through certain French towns. Nevertheless, the regional cultures in France vary quite a bit, so prepare to witness different sceneries when exploring the country. Although many European countries are known for being small, this is not true of France. Between museums, restaurants, monuments, parks, vineyards, castles, cities, and towns, there’s enough to keep you busy for the rest of your life. Ask a Travel Professional which regions of France best fit the type of vacation you’re looking for and take a road trip! Speakers of Canadian French receive a warm welcome in France, with a shared language to ease the way. The French will be more than happy to talk to you about their part of the country and share stories. Each département is different from the next, and every region loves to tease its neighbors about their accents or the origin of some dish. On that note, don’t be offended if they comment on your Canadian accent. Most of them find it charming! Do you want to learn about medieval culture, the Second World War, famous painters, or how cheese is made? Want to harvest grapes, ski, or surf? Sleep in an abbey, in a castle, or on a boat? France has plenty to teach you with its numerous museums, agritourism activities, and historical monuments. Whether you’re part of a group or flying solo, you’ll never be bored in France. Every year, France remains the most visited tourist destination in the world. It has so much to offer that it’s important to plan your trip well. France is generally temperate. However, there are noticeable differences in weather between regions. 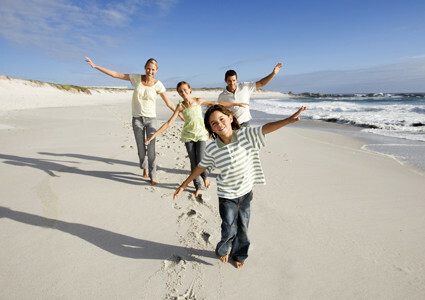 On the coasts, the oceanic and Mediterranean climates brings mild winters. Further inland, a continental climate makes for harsher winters and hotter summers. In the mountains, it rains frequently and temperatures can drop below 0 °C in winter. 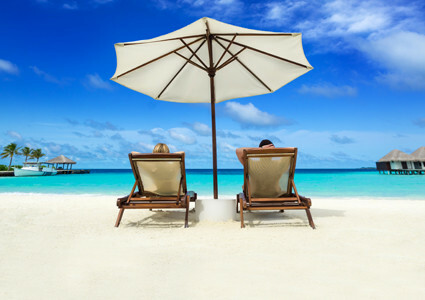 Plan your trip well with the help of a Travel Professional to avoid surprises. Flights depart from Canada every day toward Paris, Nantes, Bordeaux, Marseille, Nice, Toulouse, and Lyon. It couldn’t be simpler to fly to France! France’s varied climate will affect the clothes you bring. If you’re visiting the West or the North, consider taking a raincoat, as it can rain in any season. For summer in the South, you’ll get beaches and hot weather. No matter what, bring a wardrobe you can layer, to better deal with hot days and cool nights. You probably don’t need to be told that for winter in the Alps, you’ll need warm clothing. If you plan to enjoy the nightlife or some fine dining, you’ll want to dress stylishly. French cuisine is so renowned that in 2010 it was named part of humanity’s intangible cultural heritage. Elevating cooking to an art form, it builds on local produce and skillfully marries flavors together. Each region has its specialty, and listing them all would be nearly impossible. Nevertheless, here are a few foods that should be on your plate during a trip to France. Foie gras: France’s most glamorous product, foie gras is eaten on small pieces of toast or as a side dish. Cheese: France produces more than 1,000 different types of cheese. Camembert, Reblochon, Brie, Roquefort.. the selection is vast and affordable. They are usually eaten just before dessert. Cassoulet: This traditional dish is a casserole of long-simmered white beans to which is added goose, duck, mutton, or pork confit, depending on the recipe. Breton crêpes: As the name suggests, this fine crêpe comes from Brittany. The classic galette complète is topped with ham, egg, and cheese. Paris-Brest: This wheel-shaped confection is made from choux pastry stuffed with praline-flavored cream. A real treat! Wine: Do French wines need any introduction? While you’re on your trip, get yourself a nice bottle! Wine is much less expensive in France than in Canada. Kir: For a Breton kir, crème de fruits is mixed with cider; for a Burgundy kir, crème de cassis is added to white wine; and for an Alsatian kir, crème de cassis is poured into crémant d’Alsace sparkling wine. Meanwhile, a kir royal is made of crème de cassis and champagne! Pastis: When it’s hot in southern France, refresh yourself with this anise- and licorice-flavored alcoholic beverage, served as an aperitif. In France, tips are included in the bill at restaurants. You can leave an extra 5-10% if you were satisfied with the service. For cabs, round up the fare. In the north of France, the white chalk cliffs of Étretat attract a number of visitors every year. It’s easy to see why! Made famous by artists like Monet, Courbet, Flaubert, and Maupassant, these cliffs are truly the symbol of Normandy’s natural heritage. By foot or by boat, you’ll be enchanted by the cliffs of Étretat! 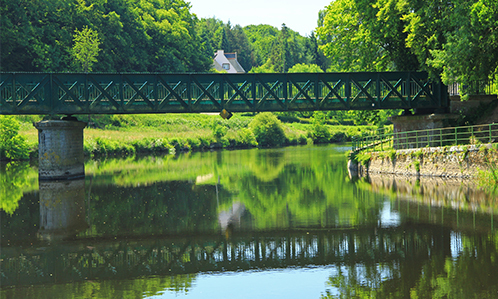 Normandy is a land of history, culture, and tradition, so it’s unquestionably a great place to stop for any history lover. 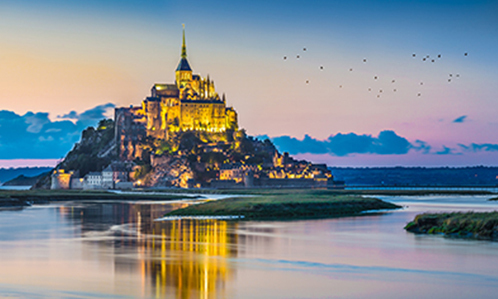 A little farther south, you’ll discover the famous Mont Saint-Michel. Perched on a rocky islet, it’s surrounded by a bay and has proven to be home to the highest tides in Europe. You’ll be amazed to see the Mont transform into an island before your very eyes during your visit! If the invasion of Normandy piques your curiosity, you can go see the battle sites a little farther north, as well as the various memorials in honor of the soldiers who died in combat. Note that the Canadian memorial is located in Bény-sur-Mer. As you fly over the tallest sand dune in Europe (110 meters), you’ll be able to see the Landes forest on one side and the ocean on the other at the same time. Plenty of activities are offered, but we’re personally fans of paragliding over the dune! 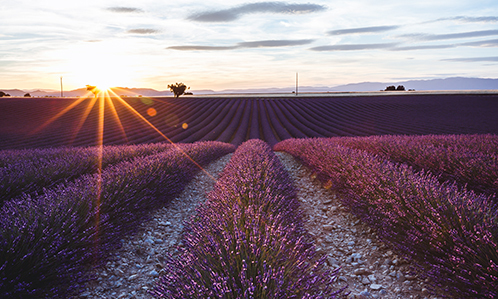 A trip to France wouldn’t be complete without a visit to Provence and its famous lavender fields. From June to August, head to the Valensole plateau to inhale the fragrances wafting off these magnificent purple fields. France is well known for great perfumes like Chanel No. 5, Guerlain, and J’adore by Christian Dior. Want to learn more about the process of creating these scents that enrich our daily lives? 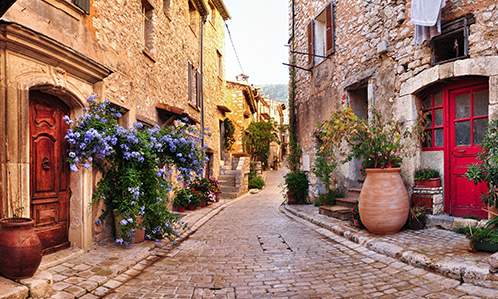 You simply must head to the charming city of Grasse for a visit to the Museum of Perfume. There you’ll discover how plants are cultivated and learn about the raw materials, how they’re transformed, and the art of composing a perfume. The Loire Valley, a UNESCO World Heritage site, is famous for its many châteaux. Also called the “Garden of France,” the valley was the favored residential spot for French kings during the Renaissance. Today it is home to more than 22 châteaux, each as spectacular as the next. Our favorites? Chambord, Chenonceau, and Cheverny. Mere steps from the town of La Ciotat, located in the very south of France near Marseille, you can explore this lovely botanical park. Climb the Bec de l’Aigle rock to discover breathtaking scenery and contemplate the stunning turquoise waters of the Mediterranean. Nestled between lakes and mountains, Annecy is a beautiful town located in the southeast of France. Its many canals have given rise to the nickname “the Venice of the Alps.” Annecy is timeless, surrounded by majestic mountains best admired on a walk around the open green spaces of the Pâquier. Relax by the lake and take in the scenery from a paddleboat or canoe. Considered the widest canyon in Europe, the Verdon Gorge offers breathtaking scenery. This canyon in the middle of the Alps can be explored by any means you like: canyoning, via ferrata, kayak, canoe, or foot. 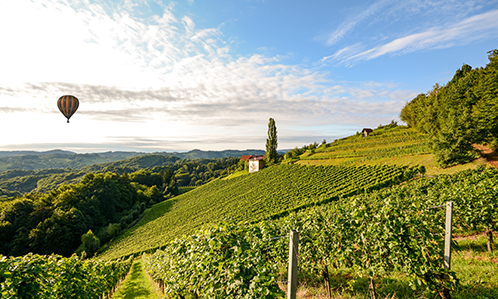 Although France is well known for its wines, why not head over to the Champagne region to try some of that famous sparkling beverage? Follow the Route du Champagne and sample from the cellars of the region’s winemakers. A visit to France isn’t complete without a visit to Paris. Whether you go for the Eiffel Tower, the Champs Élysées, the Louvre, or the Arc de Triomphe, you’ll never be disappointed by this city’s splendor! 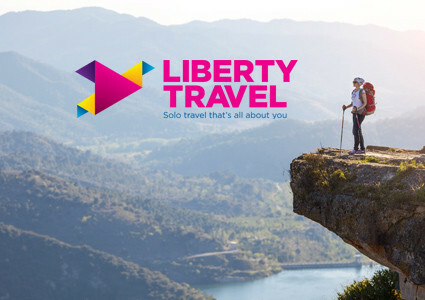 Solo travel that’s all about you. By continuing to use this site, you agree to the cookies used, for example, to improve your browsing experience and to personalize the content of the Website. For more information and/or to change your current cookie settings, please refer to our Cookies Policy.